Quite frankly the only reason why I decided to try out summer 2015 wonder product aka temporary tattoos were great childhood memories. I simply adored those animal tattoos you got in mini chocolates. 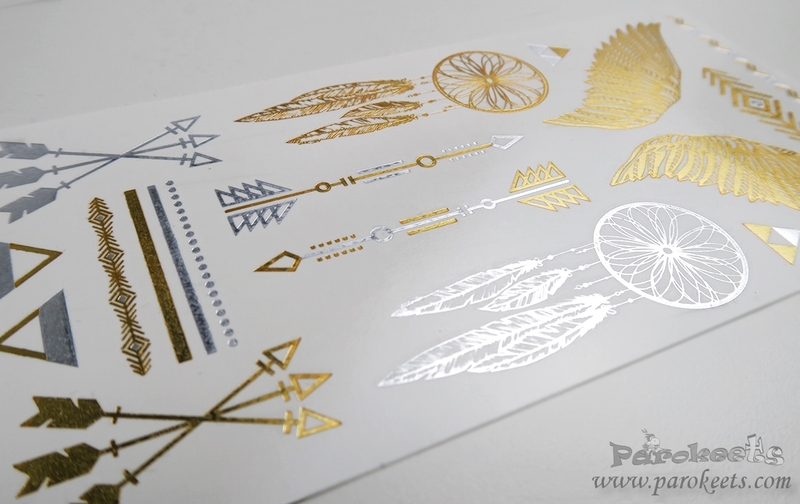 I was shopping at E-kozmetika (Alessandro haul of course ) and spotted these shiny metallic temporary tattoos from Depend cosmetics. 4,5 EUR for little bit of fun … in the basket it went. Cut out the chosen motif as close to the edges as possible. Remove the transparent protective film. Place the tattoo with motif side against your skin. Dab with wet cotton wool pad or the like against paper backing for about 20-30 seconds. Remove the paper carefully and allow the tattoo to dry before you touch. I decided to go for “bracelet” image and failed to wet the edges enough. That was pretty much the only issue I had with the application itself. 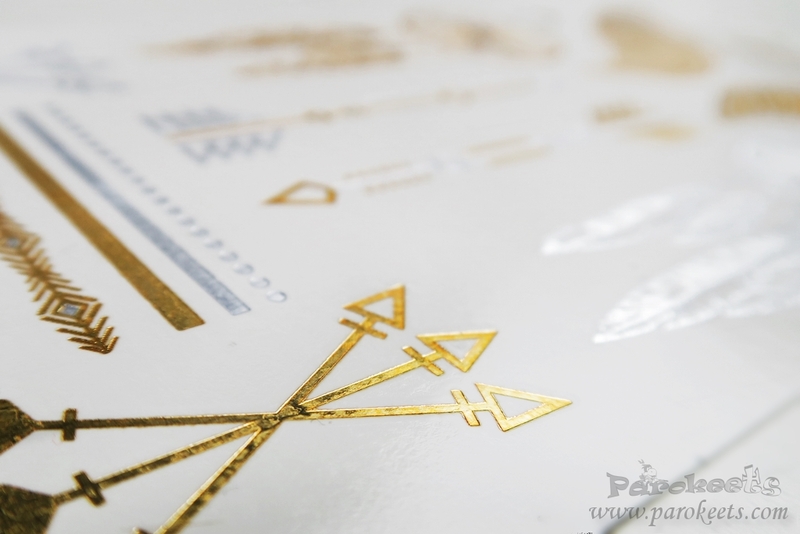 You simply can’t go wrong with temporary tattoos. If we could do this with eyes closed as children … Which is probably why I had to film it. This was the part where I did not expect much but was pleasantly surprised. It lasted for 4 days without much damage to it. Metallic shine went away between day 2 and 3, but it wasn’t really that big of a difference. Only thing I would do differently today would be the image selection. I love only bracelet style motifs so I would go for the “bracelets only” selection. How about you – did you try this summer trendy or did you pass? Kupila sem eno šablono tatujev na asos-u kjer so bile precej dražje (cca 10 eur), jih pa še nisem uporabila.